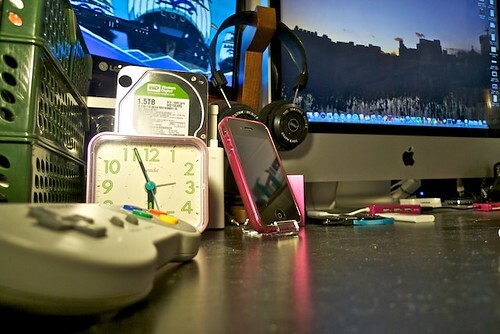 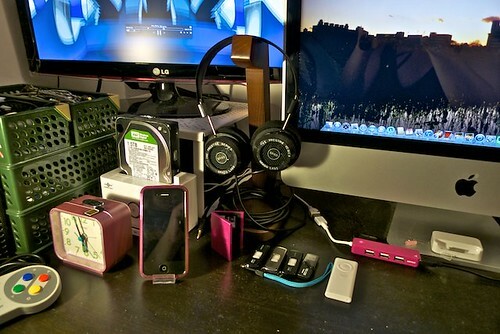 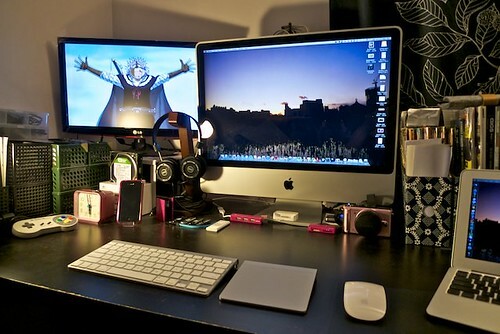 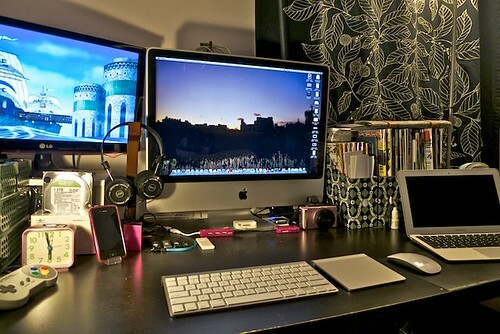 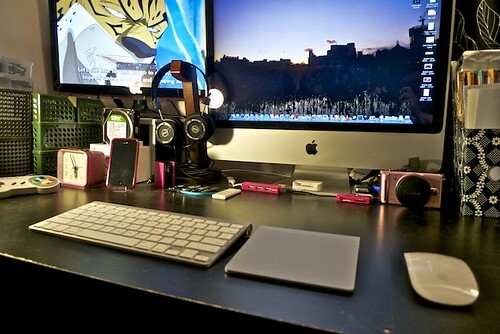 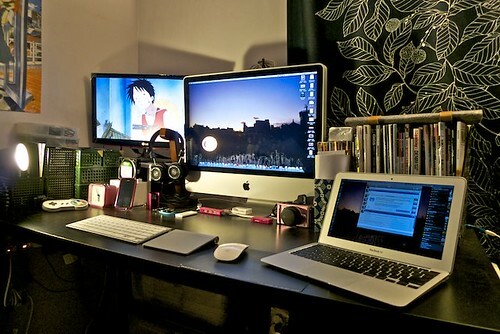 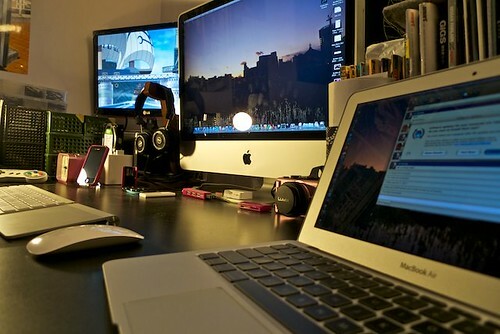 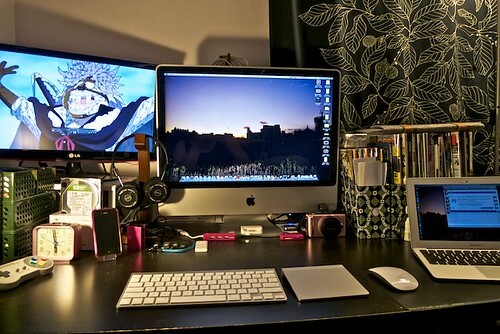 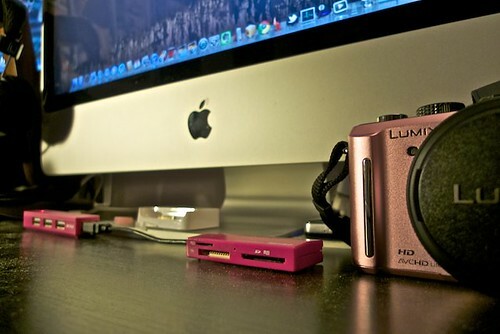 Almost five years ago, I posted my iMac setup (basically the stuff that’s on my work desk 90% of the time) on flickr. 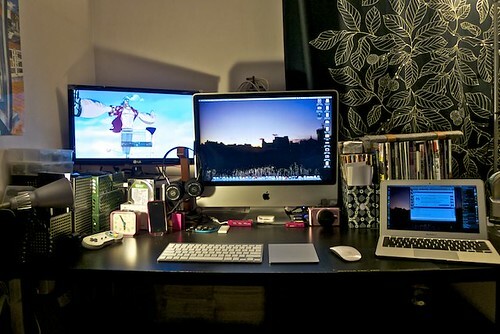 Since that time, components of that 2007 setup have changed, items have been removed and added, well, mostly added (thus a much messier table), and for the first post of 2011, I thought I’ll post some photos of my current work desk setup. 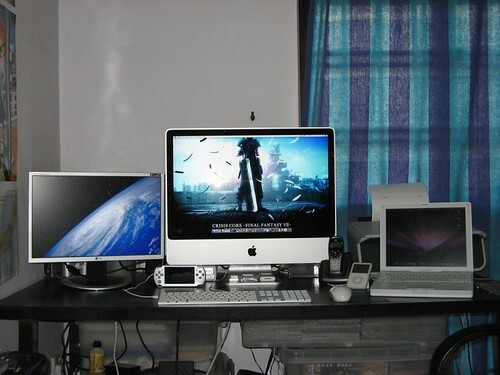 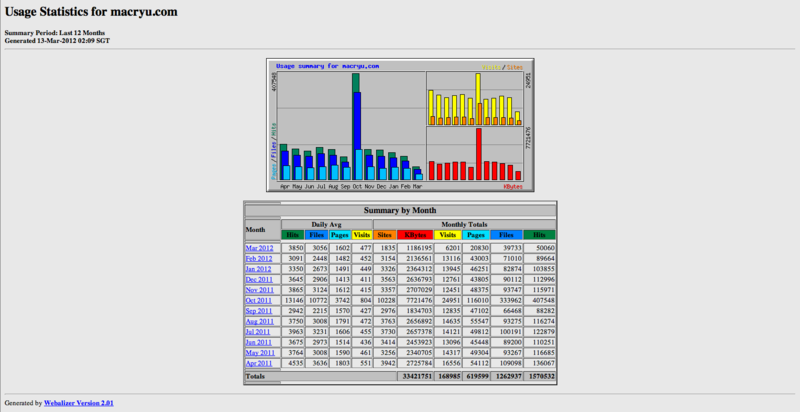 Here is the original September 2007 MacRyu iMac Setup.